Born to William and Agnes Reetz 70 short years ago, Bill grew up in NYC, Los Angeles and San Diego. He graduated from Cantwell High School in Montebello, CA, received his BA in Political Science from UCLA, then his JD from the University of Nebraska in 1974. Upon graduation, Bill packed his bags and headed to Seattle and embraced all the Pacific NW has to offer: sailing, skiing, hiking, diving, climbing, etc. It was in Seattle that Bill began a long and fulfilling career as a title insurance attorney and also where he met his wife, Erin. 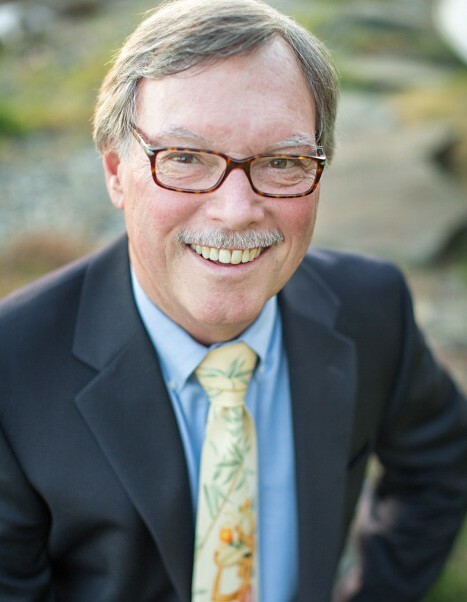 Bill was a member of the Washington State Bar Association (WSBA), the WSBA Real Property, Probate & Trust Section, and the Washington Land Title Association (WLTA). He also served on several Executive Committees, sometimes as chair, and was an instructor and speaker at various educational seminars on title and escrow matters. He co-authored the “Escrow Duties and Responsibilities” chapter of the WSBA Real Property Deskbook, and was recently bestowed an honorary membership to the WLTA for his contributions to the association and the industry. He was also invited to join the Pacific Real Estate Institute in 1993. After retirement Bill worked as a freelance consultant using his vast knowledge of real estate and title insurance matters. He thoroughly enjoyed his career and the people he had the pleasure to work and do business with; however, being a dad to Max and Molly gave him the greatest joy of all. He could not have been more proud of the young adults they have become and he loved to share this with anyone who would listen. Bill was a “city boy” at heart but he thoroughly enjoyed the beauty and nature of island life. Adventuresome sports gave way to a self-propelled lawn mower, constant attention to deer-proofing his rose garden, lazy sunsets, sleeping in, and living life at a quieter pace. Retirement was brief but adventurous when he and Erin took two trips to Hawaii, another to Yellowstone NP, and a bucket list trip to France to see Chamonix/Mt Blanc, all in 2018. Dreams of future travel took a detour when Bill passed away unexpectedly and peacefully in his sleep. Bill will be deeply missed by his wife Erin, children Max and Molly, sister Susan Stout, brother Robert, nephews, nieces, and his dear cousins and their families who Bill became very close to in the second half of his life, and his special island friends. We will miss his long stories, endless puns, those wine and scotch tastings, his holiday model train set up, trips with the Cosmos Group, and his giant heart of gold. In lieu of flowers, donations be made in memory of Bill Reetz to the Great Peninsula Conservancy. (Please find details and link below.) Funds will be directed to the purchase and conservation of a 160 acre portion of Camp Hahobas on the Hood Canal. This 650+ acre property was formerly owned by the Boy Scouts. 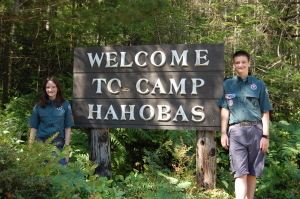 Both Max and Molly attended this camp from middle school thru their early college years, first as a Boy Scout for Max, then both as Venture Scouts and summer camp counselors. Their experiences at this camp helped shape who they are as young adults and inspired Molly toward her upcoming degree in Environmental Education from Huxley College at WWU. When this camp was closed and then the property put up for sale, our hearts were broken, so it means the world to us to help preserve a portion of it. A memorial service will be held on March 2nd at 2:00 p.m. at the Fox Island United Church of Christ,726 6th Avenue, Fox Island, WA 98333. Hawaiian shirts are highly encouraged as are long stories about Bill!